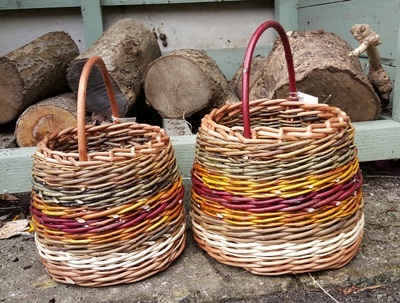 I have been making baskets for over 10 years. 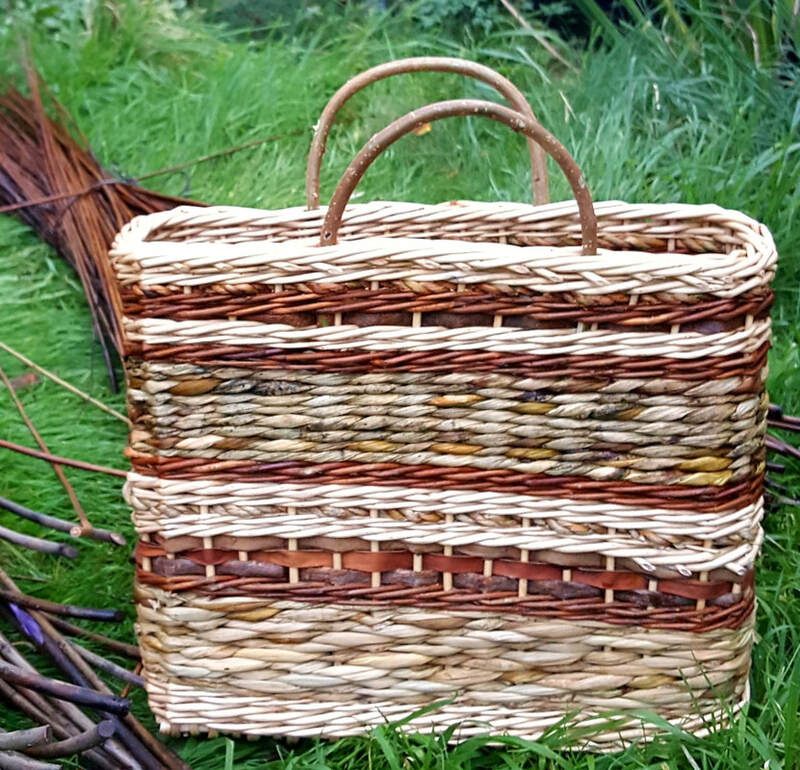 I made my first Welsh basket - the Cyntell - with Les Llewelyn in 2009 and have since specialised in making and studying these special baskets, along with other traditional Welsh willow baskets such as the Gower Cockle Picking Basket and the Welsh Shopper. I was lucky enough to gain a bursary from the Basketmakers Association in 2015 to complete further study with Les Llewelyn in order to perfect the techniques used in the basket and improve exhibition baskets. 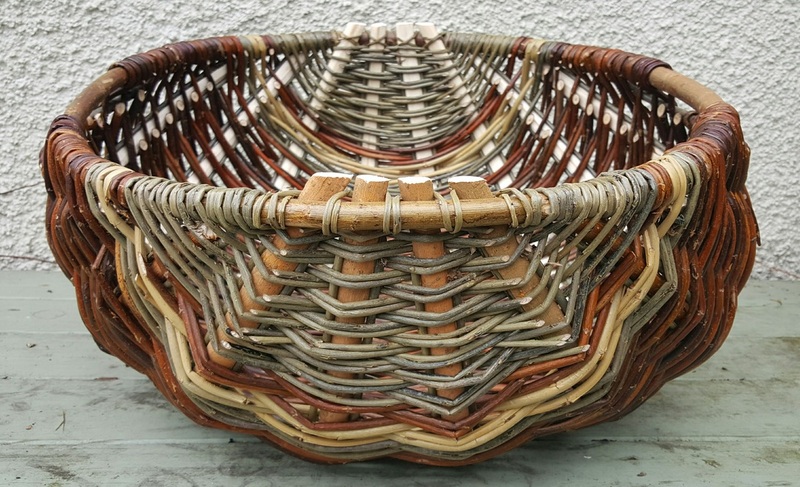 One of my Cyntells was accepted for the BA exhibition at the Riverhouse Barn in Summer 2015 . 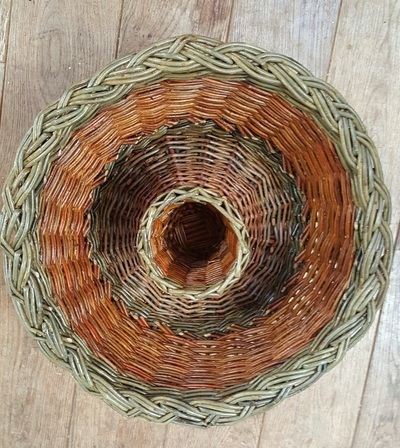 I assisted Les with teaching the Cyntell for the BA at Westhope Craft College in 2014 and we now teach together regularly. 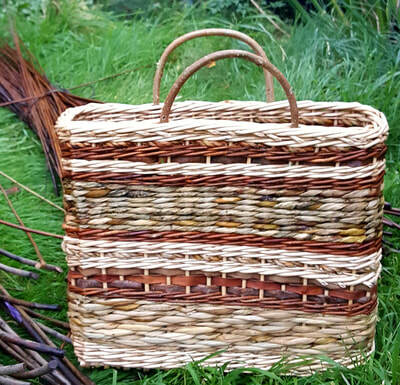 The Welsh Shopper is a derivation of the Cyntell, designed by D J Davies as a lighter weight basket for 'ladies' and I taught this basket for the UK Basketmaker's Association at Westhope Craft College in 2016. 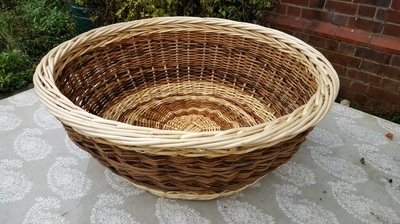 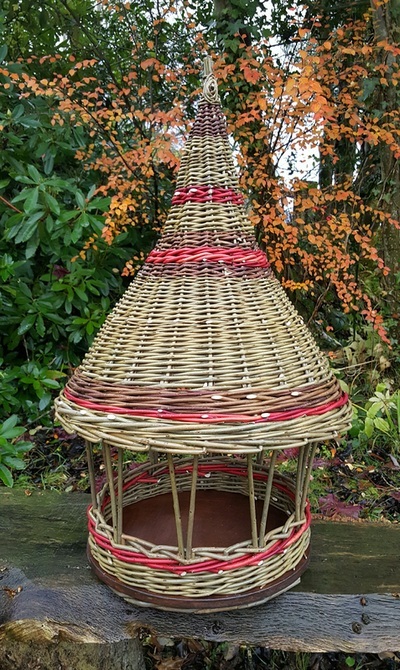 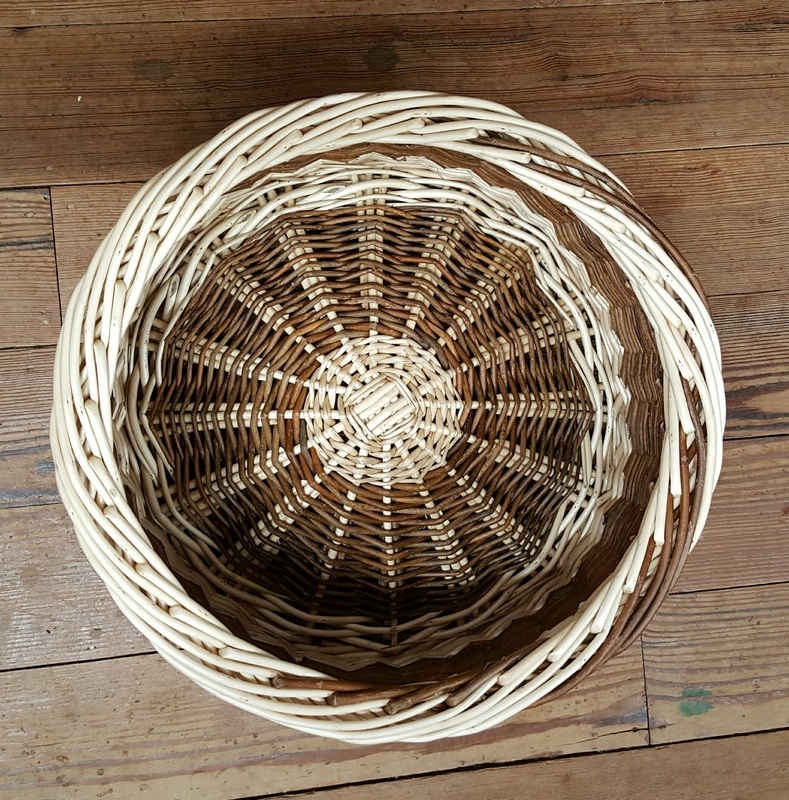 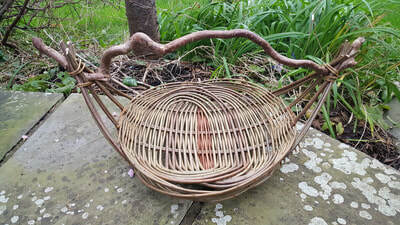 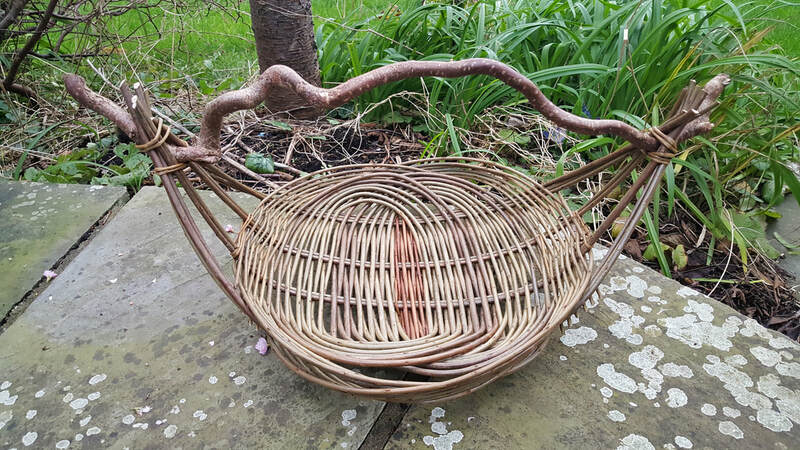 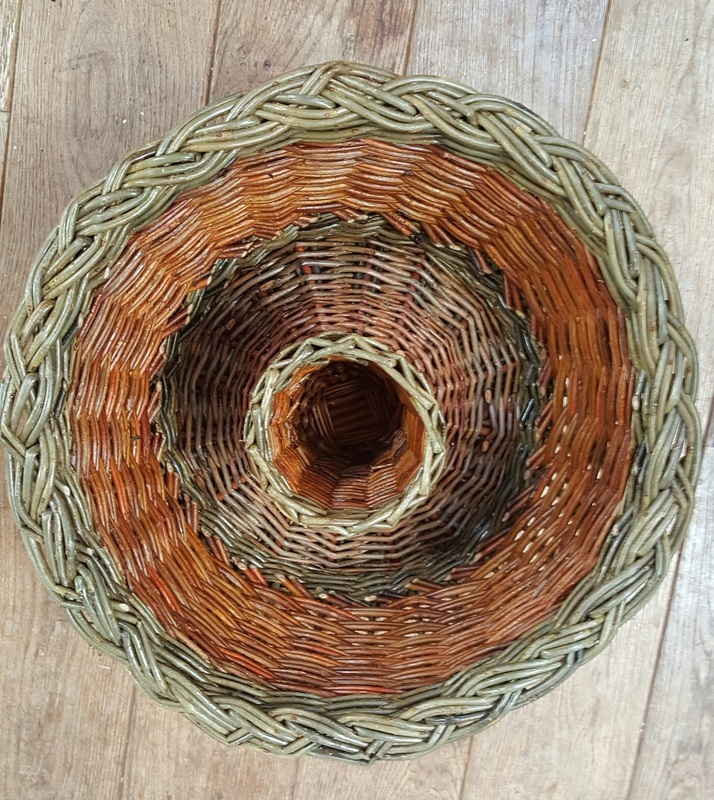 Other baskets regularly available and made to commission are Welsh Tea Things baskets, log baskets, shoppers, garden baskets, zarzo baskets and trays, dog and cat baskets and coffins. Contact me to chat about your requirements and I'll do my best to help!